I really enjoy reading Anne Bishop’s books, but “The Others” is my favorite series. I’ve been waiting on book #6 since March of this year (2017), and I was lucky enough to get an ARC copy of this book. I read straight through it in less than 24 hours. If you enjoy fantasy, but the believable kind, the kind that makes you think “What if?”, or “Am I alone?” when you’re out hiking in the woods, you’ll enjoy these books. Basically the world has been inhabited since creation by a species called the Terre Indigene, or The Others, and they control the earth. They are Elementals (Fire, Water, Air, etc. ), Shifters (Crowgard, Beargard, Wolfgard, etc.) and the Elders, who have been around the longest, and stay in the wild until they are called upon to mete out justice in some way. As the history is explained, “a long time ago Namid gave birth to all kinds of life, including the beings known as humans. She gave the humans fertile pieces of herself, and she gave them good water. Understanding their nature and the nature of her other offspring, she also gave them enough isolation that they would have a chance to survive and grow. And they did. They bred and spread throughout their pieces of the world until they pushed into the wild places. That’s when they discovered that Namid’s other offspring already claimed the rest of the world. The Others looked at humans and did not see conquerors. They saw a new kind of meat. Wars were fought to possess the wild places. Sometimes the humans won and spread their seed a little farther. More often, pieces of civilization disappeared, and fearful survivors tried not to shiver when a howl went up in the night or a man, wandering too far from the safety of stout doors and light, was found the next morning drained of blood. Centuries passed. Humans were smart. So were the Others. Humans invented electricity and plumbing. The Others controlled all the rivers that could power the generators and all the lakes that supplied fresh drinking water. Humans invented and manufactured products. The Others controlled all the natural resources, thereby deciding what would and wouldn’t be made in their part of the world. So it comes to the current age. Small human villages exist within vast tracts of land that belongs to the Others, And in larger human cities, there are fenced parks called Courtyards that are inhabited by the Others who have the task of keeping watch over the city’s residents and enforcing the agreements the humans made with the terra indigene. 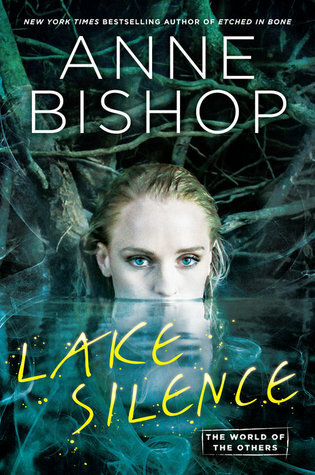 In “Lake Silence”, a battered ex-wife, Vicky Dane, gets a small, very rustic (read primitive) resort property on the banks of Lake Silence, which is a human town, but not human controlled. She follows every rule laid out by the land owners (the Others) in the renovations and repairs to the cabins and main house with her limited resources, while her greedy ex-husband is partnering with unseemly characters from his past to reclaim this property from her, despite her capital improvements. He trusts in his ability to cow and control her to regain this property, despite her legal standing. Unbeknownst to him, she has gained the trust and even friendship of some of the Others living locally, and they prefer her residence to his. When he and his colleagues show up to evict her, it angers not only the Crowgard, Beargard and Panthergard, but some of the Elementals and Elders, and does not turn out well for the hoity-toity Mr. Dane.